No one likes moving furniture. It’s tedious and tiring–carrying heavy couches and shelves, clinging to awkward handholds. But, imagine that you’ve just bought your dream house. You’re actually excited to move in the furniture because you know you’ve finally found the perfect home. All you have to do it get your stuff inside, get things put away, and you’ll be living the dream. So, you round up all of your buddies on a Saturday (don’t forget to buy the pizza and beer) and start the slow process of hauling all of your stuff into the house. It’s not the most fun thing in the world. But, you’ve got your eyes on the prize. You’re making good progress, things are going smoothly. Then, you get to the biggest thing you own–the couch. It’s a lovely, expensive piece of furniture. You can’t wait to curl up on it, relaxing in front of the new fireplace. As you shuffle up the sidewalk, huffing and puffing, you get close to the front door. The couch seems a bit wider than the opening, but you figure it’s just a matter of angle. You struggle to turn the giant sofa, angling it up and down–sideways, upside down. You try every possible position, but there’s just no way it will work. With each failed attempt, the reality starts to set in. The couch won’t fit through the door. We often think of engineering as being primarily an exercise in problem solving (e.g., figuring out how to fit the damn couch through the door). But, it’s a lot more enjoyable to find a solution to a problem before you run into it face-first than having to try to scramble for a solution in the moment. Most engineering teams are with the idea of performing a postmortem or retrospective. Particularly in agile teams, it’s a tried and trusted strategy for evaluating work performance, diagnosing errors, and applying the learning moving forward. But the major drawback of a postmortem is that it occurs after the work is done–it’s only an analysis of what went wrong and how to try to not make the same mistakes again. But it doesn’t do anything to mitigate the risk before it happens. Looking back at your boneheaded couch-door problem may help you next time you move, but it doesn’t help you solve the problem you’re facing right now. We rarely spend time considering what problems we might encounter before we encounter them. And this means that we often fail to foresee even obvious hurdles that we could have easily avoided or at least planned to overcome before jumping into a project. As the name suggests, this is an exercise developed to help us understand what risks we could be facing before we’re actually confronted with those problems. 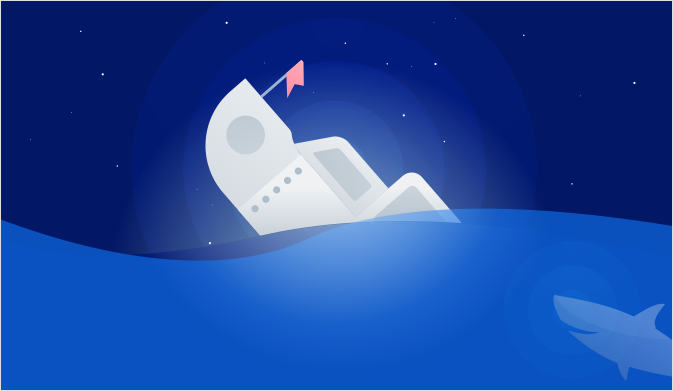 For engineering teams, this can be an incredibly valuable tool to help identify, understand, and mitigate risk–particularly when it comes to long-term planning and major initiatives. When you’re in the midst of a big project and you run into an unexpected problem or risk, our natural tendency is to try to push through. Especially if you have a lot of momentum or there are big consequences for having to hit the pause button, there is just usually not a convenient time to have to stop and try to solve a problem that you may be facing. If you’re trying to get your couch through the door on moving day, you might be tempted to just shove it through—causing damage—or even take a hacksaw to the doorframe. You’re frustrated, desperate, and probably tired. You just want to finish what you started. We call this the damn-the-torpedoes mindset. In other words, you want to ignore these obstacles and push forward with the initial plan, even if it could introduce some serious risk or bigger problems down the line. By performing a premortem, this is exactly the kind of behavior we want to avoid. Often times, there is so much perceived risk and momentum pushing a project forward that it seems too costly to stop and change directions. This can lead to enormous mistakes and failures–but it can be mitigated by trying to identify those problems before they arise rather than waiting for them to crop up and then trying to navigate the situation amidst other forces. In order to do that, let’s look at how to perform a premortem that will help your team assess risks and create solutions rather than trying to find cures. The first step of the premortem is to gather your stakeholders. Ideally, you want to have as many people involved as possible to uncover different insights or potential pitfalls. Then, the exercise will begin by having the project manager explain that the project has failed. At this point, there are no specifics about the type of failure that happened or what caused it. All we know, for the purposes of this exercise, is that we did not achieve what we set out to accomplish. Now, we’re left to pick up the pieces. For most intents and purposes, you can think of this process as sort of an imagined version of the postmortem or retrospective. You’re attempting to project into the future, a situation in which the project has failed. Then, work backward to understand why it failed (or what was most likely to have caused the failure). Next, the stakeholders should get to work considering and identifying what potential problems or risks could have caused the project to fail. The point of this step is not to do any kind of calculated risk assessment. It’s about identifying as many potential hurdles as possible. So, encourage everyone to include as many cases as they can, whether they seem particularly likely or not. This could be anything from lack of buy-in from senior management or a supplier failing deliver on time, to a bubonic plague wiping out the entire engineering team. As a matter of execution, it’s usually better to have participants break off into pairs or small groups for this part. It’s important to stress the “anything goes” nature of this stage in the process. If certain ideas or thoughts are suppressed because they may seem silly or unlikely, then you may miss out on critical insight that you need to make this exercise valuable. Next, everyone should go around and share the potential problems that they identified. Every case should be recorded and considered. Then, the entire group should vote on these cases to identify the ones that pose the biggest threat and/or are most likely to occur. It will likely be a mix of big risks that have a low chance of happening and small risks that are almost certain to arise. Think of this like prioritizing your backlog. Which items seem to be most pressing or have the biggest potential impact? Those should get the most attention. In most cases, you’ll likely want to narrow it down to a top-10 list, but there is no specific quota. Depending on what scenarios you uncover, you could end up with a list of just a few real risks or you could determine that there are dozens of potential pitfalls that need to be addressed (if that’s the case, it may be a sign that your entire plan needs to be overhauled). In the final step of the premortem, your team should work on problem solving. Not all problems can be solved ahead of time. In fact, some of the scenarios that you identify may not be actual problems, but potential risks—what if we can’t get the hardware we need within our specific timeline? This is why it’s absolutely critical to assess each item individually and think through what possible solutions exist or the best way to deal with that problem if does become reality. 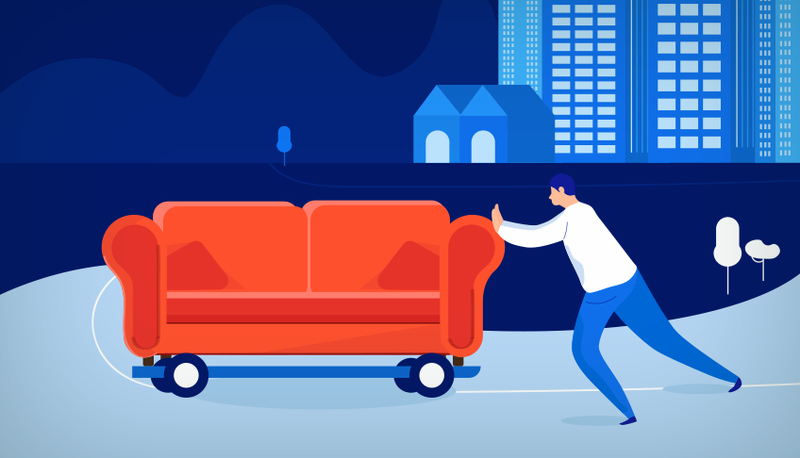 When it comes to moving in your couch, there might not have been an obvious fix for the problem.But, you could have done something. Hell, maybe you would have sold that couch and bought a better one that wasn’t quite so wide. Whatever solution you find, it will likely be much more reasonable and logical if you knew about the problem ahead of time rather than scrambling for a quick fix on the spot. This is what makes the premortem such an important tool. Not only can you avoid risks and find solutions to problems, but you can hopefully avoid coming up with bad solutions to problems that you didn’t see coming. If you have the choice between cure and prevention, choose prevention every time.